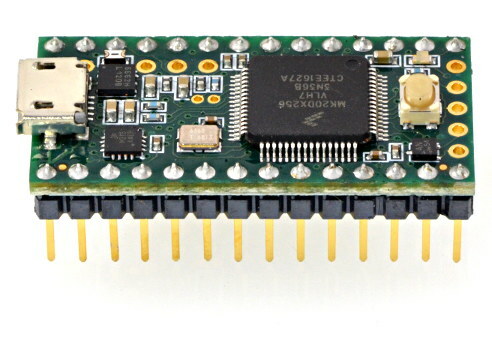 The Teensy USB Development Board is a complete USB-based microcontoller development system. Teensy 3.2 is a direct, 100% compatible replacement for Teensy 3.1. It is fully compatible with all shields and add-on boards made for Teensy 3.1, including the Audio Board and OctoWS2811 Adaptor.